We broke the evening up into a hybrid between an Open Space and your local Farmers' market with people displaying their wares and the tools they use. Rosenboom showcased their office solutions including interactive smart screens and high quality whiteboards among the usual assortment of markers and post-its. And Plantronics brought their collection of noise cancelling headphones for much needed concentration or a well understood remote collaboration as well as a couple of their conference kits that link up to a phone or laptop to turn any room into a reasonably good conference room. I had taken possession of one such tables to show the little things I carry around or have in the back of my car in case I might need them. In my bag I carry a broad assortment of personal gadgets as well as things I use for teaching and facilitation. Especially when teaching in-company classes (which often take place in the offices of the client), I bring some back-up materials as you never really know what kind of facilities the room will have. I have a roll of Legamaster Magic Chart in the back of my car. It's a roll of static film you can throw against almost any surface and it acts as an impromptu whiteboard. You can use as many sheets side-by-side as you want to create a surface to draw on of just about any size. While I prefer a proper high quality whiteboard, it's better than having none or having to use a whiteboard that lost it's shine a long, long time ago. There are many different brands available. If it's your own whiteboard that could use some proper renovation, or you'd like to turn an existing wall or pane of glass into a (magnetic) whiteboard, then it's good to know that there's an option to just stick a new writing surface on any flat object. And it's not just to repair old whiteboards, you can turn any door, glass panel, table or even a concrete support pillar into a high quality writable magnetic surface. Rosenboom brought samples of Legamaster Wrap-Up. 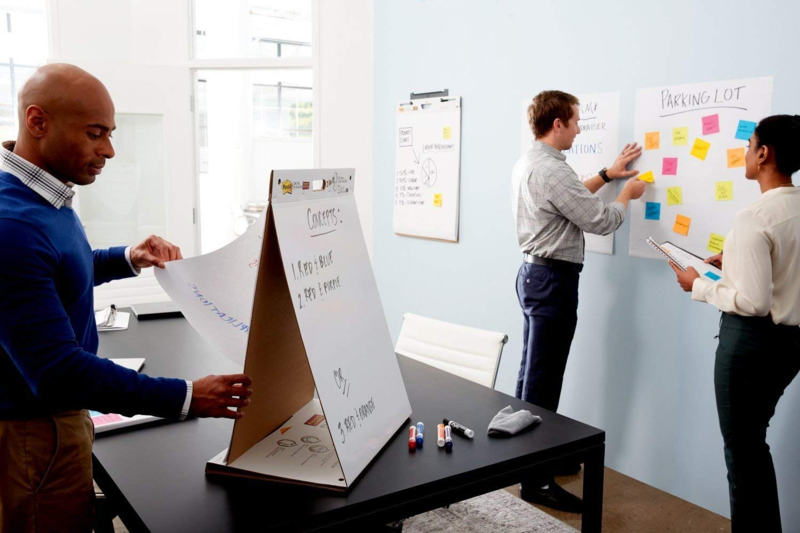 3M offers similar products, their magnetic whiteboard film is somewhat of a hybrid between the static film and the adhesive whiteboard. Their solution can be applied to metallic surfaces and doesn't require any adhesives. In many of the classes we teach, the group is divided into teams. each team is asked to discuss and visualize things and often we run out of flip-charts quickly. This is why I have a couple of 3M table stand flip charts in my car. Think of these as mini flip-charts as well as maxi-post-its. They're super sticky and teams can quickly put their results up on a wall or window. Another advantage of these is that they are easy to hide under the tables during presentations or demonstrations and they fold flat for transportation. When you're working in a busy office and are dealing with many interruptions, sometimes you need a little time for yourself to concentrate and to really get some important things done. Especially teams working in a open floor plan office (don't get me started) can suffer greatly from the high number of interruptions. For those setups I sometimes use my Embrava BlyncLight. A small USB controlled LED that can be synced to your Skype status (supports many more communication tools) and it can be set manually through a keyboard shortcut. I happen to use their USB-connected device, but Embrava also offers wireless versions. I would forget to charge these I'm afraid. Their most recent addition in the series is an e-paper nameplate for offices that don't provide people with a fixed desk to work on. I don't really agree with the term "Agile Workspaces" which Embrava uses to describe these. 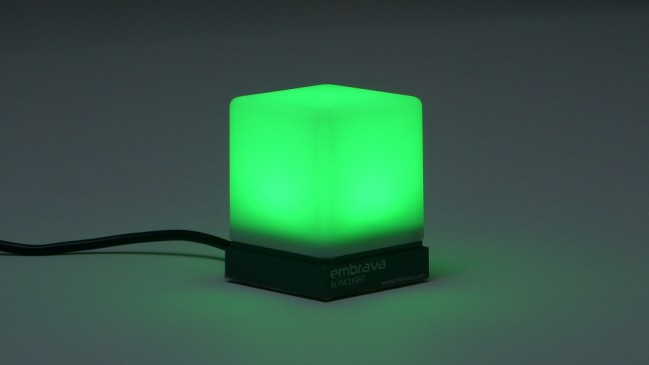 Embrava even ships an SDK which allows you to integrate their light into any application. In the past I've used it as a Build Status Monitor and it's probably quite easy to set the color based on the number of bugs in your Azure DevOps project. 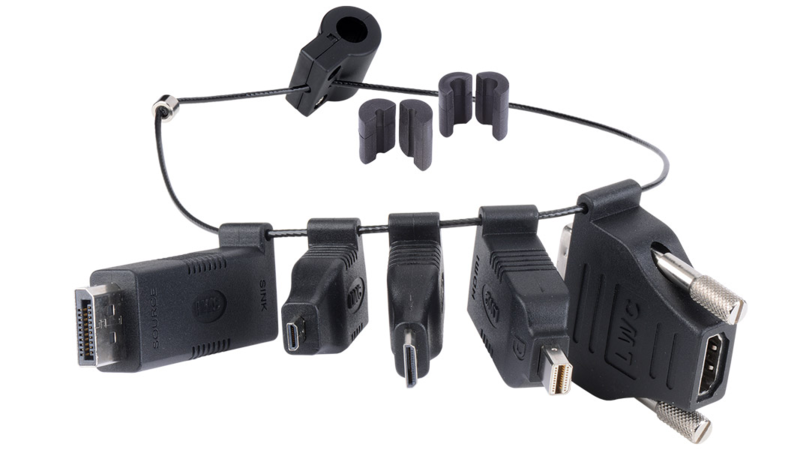 Many training rooms are equipped with some form of Audio/Video equipment, but unless you've brought the right converter cables and unless you're very lucky it's often not easy to get everything to work. Even if you can get the screen/projector to work, the audio is often the worst. For those places I bring these portable speakers. The Charge 2 can produce enough noise to show short YouTube clips to participants without causing issues. It also doubles as a Bluetooth conference call set so you can put it on a table and quickly have a conversation with people on the other end of the world. Either from your phone or from your laptop. It works with Skype, Teams, Slack you name it. The Charge 2 has been superseded by the Charge 4 which offers a very similar feature set, maybe you'll be able to find a 2 or 3 with discount. Even though I hate open floor plans, it's almost impossible to do consulting work and not encounter them on a regular basis. The added noise doesn't just make it hard to concentrate, but the lack of small break-out rooms often also makes it hard to have a good phone conversation or join a conference call. After my previous headset suffered a fatal cable problem, I switched to an USB powered active noise cancelling (ANC) headset with a long cable. One less device to charge, but still some room to move. While I love the freedom of a Bluetooth powered headset on a charging stand, that's not something I want to carry around all day in my backpack. After trying a few headsets, I ended up with these Plantronics. The crisp sound allows me to hear other participants of a conference call and the high quality mic. I love the dedicated Mute button on the cable, it will mute/un-mute the mic regardless of which application has focus. The noise cancellation works two ways, it works in the ear pieces to cancel noise and it works on the microphone to prevent noise from your end to spill over into a conference call. I use the Plantronics Blackwire 725 with the USB-A to USB-C adapter that came with my Pixel 2 XL. Though officially meant for transferring your data from one device to another, it can also be used to connect (and power) small USB devices such as storage devices and USB headsets. This will allow you to use the Plantronics headset to receive phone calls, join Skype calls from your phone etc. It's also great for listening to a couple of podcasts all the while enjoying the same Active Noise Cancelling features. The only disadvantage is that the ANC is powered from your phone's battery, so it will drain a little faster. Google also sells a similar adapter separately and Plantronics offers a similar adapter as well. When delivering a presentation, it's common to really stand in front of the audience while presenting. When delivering training or when facilitating you may want to be mobile or be part of the group. Or when you're in the unlucky situation that it's not just the audio that's bad, but even the video cables are letting you down. For those occasions I bring my Microsoft Wireless Display Adapter. These clever devices allow you to connect any screen or projector that supports HDMI over Wireless. It uses a protocol called Miracast, making it compatible with every Windows 10 and modern Android device. It adds a true second screen, so your PowerPoint presenter mode will work without issues. I have protected mine with a pass code, that way people won't be able to take over your presentation and project unwanted content in the middle of it. If you're an Apple user, you may need to bring an AppleTV instead, Apple has decided not to support Miracast in favor of their own proprietary AirPlay protocol. ... adapters to allow 5 different teams to present (yes, our preferred connector is HDMI). To add to that, long cables are fragile, expensive and never long enough. So instead, our offices in Amsterdam are equipped with ClickShare and we have a couple of small USB-dongles that are synced to the screen. They're also equipped with HDMI, but we primarily use that for the main presenter/trainer. With ClickShare each team is just the click of a button away from sharing their desktop directly to the big screen. By installing the ClickShare Extension Pack you can use your connected dongle as a Wireless Display Adapter, adding true second screen support and enabling Presenter mode in PowerPoint. But the bandwidth isn't good enough to stream HD video or very fancy animations. While the Microsoft Display Adapter and ClickShare are great solutions, I always love it when I get to a client that has a Digitalinx multi-adapter bolted to their main HDMI cable. This will allow just about every modern device to connect, though you may need to order USB-C and Apple adapters separately and bolt them to the cable using the adapter ring. 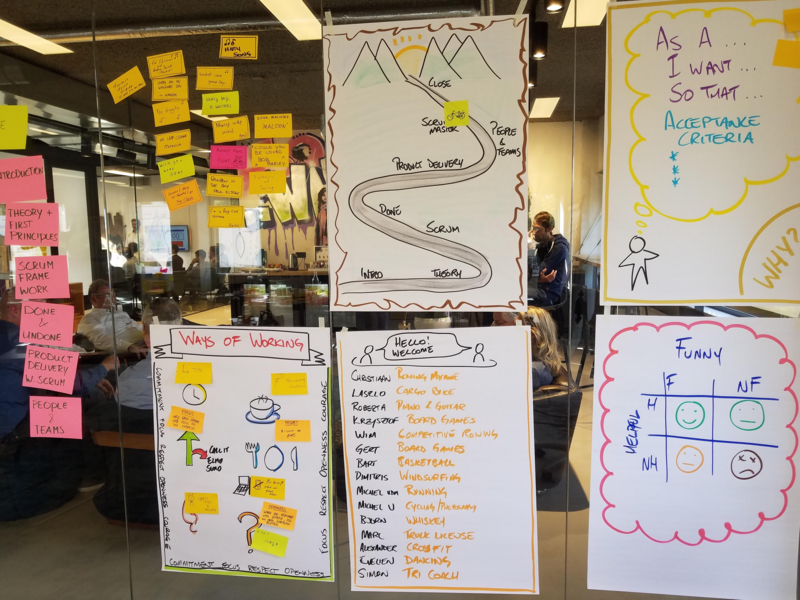 My colleague Laurens Bonnema has taken up sketch-noting a couple of years ago and while I am not even close to achieving his works, I have found that proper use of colors, borders and highlights really make a difference between a standard flip-chart drawing and one that stands out. I started out with the Big Ones, but if you'd ask me now I'd probably recommend the No Ones Art over them. These are smaller and have a brush-like tip. They offer more flexibility. The default color set is pretty good. I added dark grey, Xpirit orange and signal red. Neuland has a year of celebrations. Every month you get another free product. So far I've received a free bag for my markers, fine-liners and pastels. I use the fine-ones for better note taking. I found that adding small drawings in between my written notes allows me to remember more details of my meetings and attended events. Apart from a wide selection of colors and types, the fact that you can refill them as well as replace the tips will save you money and the environment in the long run. In the past when I wanted to work together on the same piece of code with a remote co-worker, or even a colleague working in the same office, but a couple of floors away, a quick screen share over Zoom or Skype for Business was the best we could do. While not bad, it has a pretty high bandwidth demand especially when you also add live video and audio. We all know that communication works better when two people can at least see each other and spoken word works better than written text in many cases. The problem with the traditional Screen Sharing solutions is that you're forced to look at the same code and usually only a single person can use the keyboard. Visual Studio Live Share takes away these limitations. It's best described as Office Online or Google Docs for your code and it works in Visual Studio and Visual Studio Code on Windows, Mac and Linux. Enabling live 4-eyes principle for analyzing and solving issues on environments that may currently be off-limits to at least 2 of the 4 eyes. It's been something I've long wanted to see more of, I remember talking to David Starr when Code Lens first came out on some of the scenario's that Visual Studio Live Share now enables by integrating presence and ownership into Visual Studio. These are exiting times indeed! The topic of physical vs digital boards came up surprisingly often during the evening. And a common thread was that while most people preferred a physical board, digital had a couple of advantages as well. Having both adds the overhead of having to sync between them; this is where Spartez Agile Cards comes in. It annotates your physical board with QR codes and requires you to add a QR code to each of your stickies. Using those codes it will be able to detect which item is in which states and can either offer you to move the digital cards to be in sync with your physical ones or spit out an updated photograph with annotations that help you quickly move the physical cards to be in sync with the digital ones. Auto-update your digital board after a day in the office. 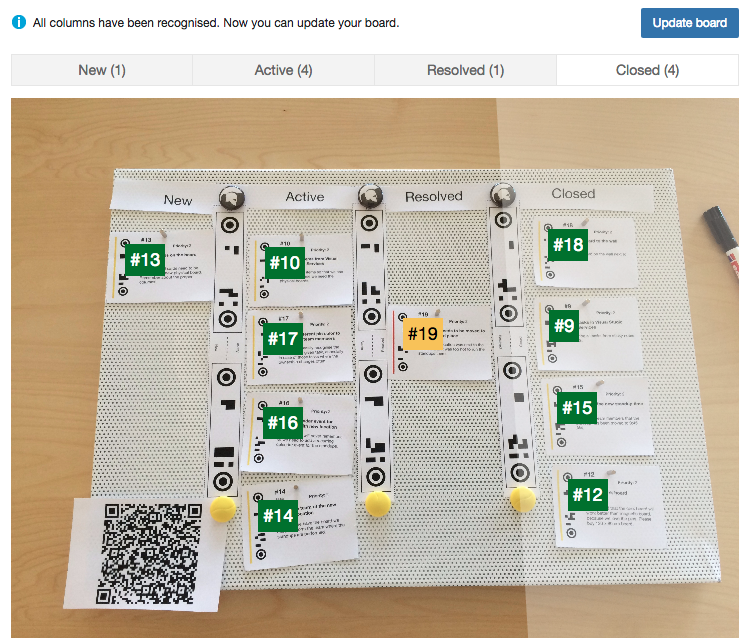 Spartez Agile Cards is available for Jira. What tools do you use, what things do you carry around? And we'd love to see you when you're in the neighborhood, at the nlScrum meetup. Since posting, people have suggested additional items that just must be in my toolbox. You can find these in part 2 of this post.